Sheila is Head of Public Policy at Schroders. 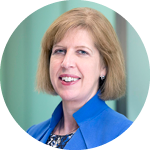 She has been closely involved in the development of the financial services regulatory system in the UK and Europe since 1982. Before joining Schroders she was a Senior Adviser at EY and from 2007 to 2013 she was at the Financial Services Authority where she supervised the whole range of mid-sized financial services institutions during the financial crisis, before becoming Director of Conduct Policy and part of the leadership team which created the Financial Conduct Authority. At the FSA she led the development of the Retail Distribution Review, the Mortgage Market Review and the review of the Financial Services Compensation Scheme. Previously she was Deputy Chief Executive of the Investment Management Association and held several policy roles at the London Stock Exchange, including before and after “Big Bang”. She is a modern languages graduate and holds a non-executive role as Secretary of the Churches’ Mutual Credit Union as well as being a trustee of the Just Finance Foundation. She is a member of the Board of the European Funds and Asset Management Association and a member of ESMA’s Investor Protection and Intermediaries Standing Committee’s Consultative Working Group. She chairs the UK Investment Association’s Corporate Affairs Committee and is a member of the Council for British Industry’s Financial Services Council. Converting the theory to practice; how should the asset management be responding to this technology and political driven disruptive world, where value for money is being questioned as never before, where customers willingness to buy products through digital channels is increasing, where investors are increasingly focused on the non-financial returns, where the asset management industry`s stewardship over investment decisions is continually being challenged and all of this being rounded-off by significant pressure on fee and margin levels. Luxembourg has a proud history of anticipating the evolving needs of the asset management industry it services. Entering with optimism a new era of “re-imagining” asset management and innovation benefiting investors, can it continue that tradition, and can we define what that future might look like? How is Luxembourg evolving as it welcomes new ideas and entrants, anticipates the future and re-imagines its role as the world’s second largest fund domicile? "Disruption scenarios" ... "structural shifts" ... "shaping our future" ... How does this impact the regulator? As the industry experiences disruption and transformation, how are regulators evolving? Are they experiencing the same disruption? What industry landscape are they planning and preparing for over the next five years? 18/698: what’s all the fuss about? Target operating model: what does “substance” really mean? Governance: best practice through board composition? Are we moving to a US structuring environment? What’s new in governance strategies? How will you being doing deals in 2020? Are you prepared for the new fiscal environment? What are the opportunities and challenges in outsourcing? How to set up a sustainable fund using the Luxembourg toolbox? Why Luxembourg set up a support programme for climate finance? Why is impact measurement so important? Sustainability reporting and disclosures – a brain teaser? What’s new around fund labels?